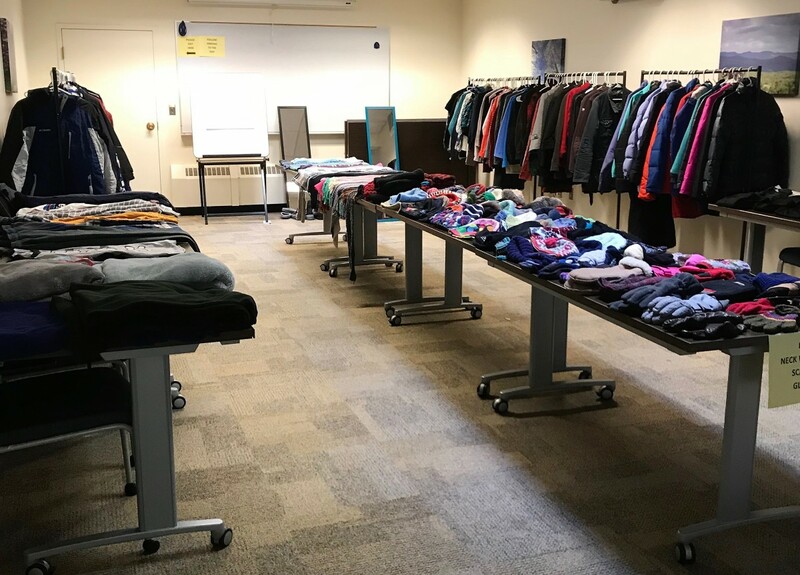 Thank you to everyone who helped make this year’s Winter Clothing Closet a success! 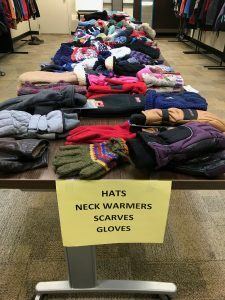 Because of your donations, we were able to assist at least 50 new Middlebury College students from around the world and from warmer parts of the U.S. with their winter weather preparations during our annual Winter Clothing Closet on October 19th. 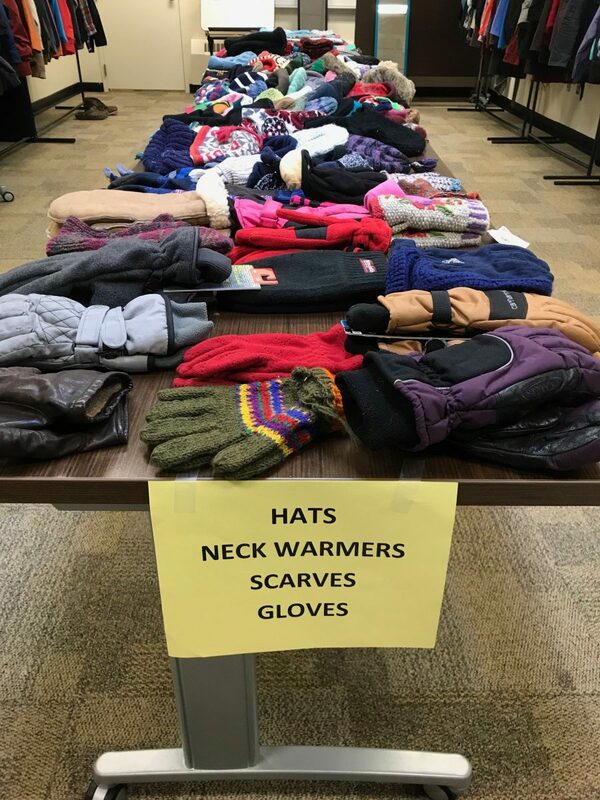 In the upcoming months, we will continue to make your generous winter clothing donations available to students who were unable to attend the event or who find that the winter conditions are more frigid than they originally anticipated. We also want to give a special thank you “shout out” to the Commons Coordinators who helped us collect a wide array of winter clothing donations. 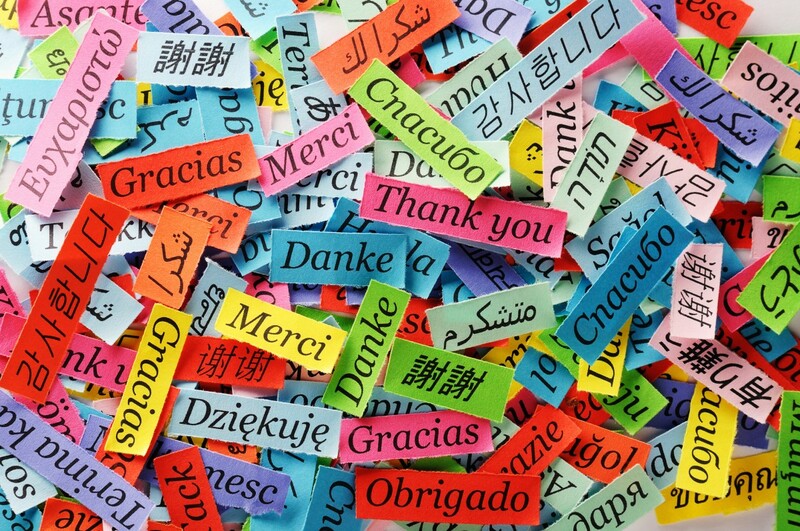 Thank you again from the warmest places in our hearts. 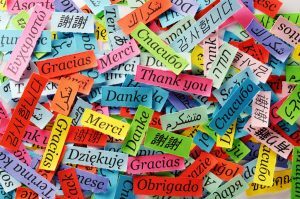 This entry was posted in Midd Blogosphere and tagged Midd News & Events, Midd Points on November 5, 2018 by Loren Scott.